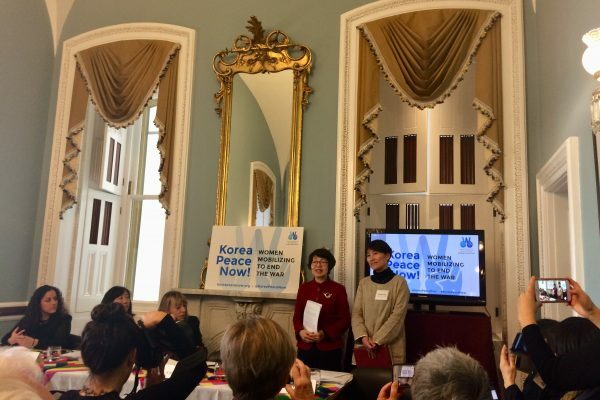 The conversation about peace and denuclearization on the Korean peninsula is a matter of “life or death for Koreans,” said South Korean parliamentarian Kwon Mi-Hyuk during the South Korean Women delegation to Washington, DC last week. This conversation needs to expand beyond the political and security issues, and take South Korean democratic views fully on board. As with the elitist nuclear system, which is designed to remove the common sense desires of people from decision making, these decisions cannot be confined to elite gatekeepers that tell us to leave the issue to the experts. Policy decisions made by the United States affect the lives of people in Korea, and, therefore, need to also include their voices. 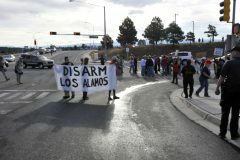 So what is our role as American activists in bringing peace to the Korean peninsula? What can we do? The first step toward peace and denuclearization in Korea is calling for a formal end of the Korean War. The U.S. and North Korea are technically still at war — even 68 years later — because the Korean War ended in a ceasefire with no peace treaty. A peace treaty is an immediate action that needs to be taken to pave the way forward toward denuclearization, as North Korea first needs security assurances in order to denuclearize. Furthermore, this ongoing state of war is a threat to global and human security. Representative Ro Khanna, along with 18 other members of Congress, introduced House Resolution 152 which calls for a formal settlement of the Korean War. The resolution urges the Trump administration to provide a clear roadmap to achieve a peace agreement and affirms that Koreans need to shape their own future with the support of the U.S. — without legitimizing North Korea as a nuclear power. The United States has been deeply involved in the politics of the Korean Peninsula since the second World War, and the Korean War and its aftermath were decisively shaped by the emerging conflict between the Soviet Union and the United States. The division of Korea into north and south took place in 1945, when two American officers with no particular expertise in Korea chose the 38th parallel as the northern border of the American occupation zone. 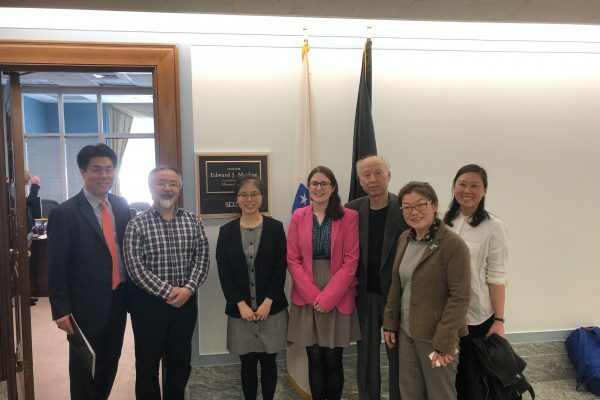 As Christine Ahn, founder of Women Cross DMZ, said at a March 12 Congressional briefing, U.S. bombs destroyed 80% of North Korean cities during the war. The war’s cruel history and the United States’ past behavior on the peninsula shows us that it is the responsibility of the U.S. to support the needs and wants of Koreans as they lead the discussion of their own future, rather than playing geopolitical games once again. Koreans have been most affected by the conflict, and they want peace. We have come a long way since the “fire and fury” rhetoric of 2017 and have not backslid into threats of war or “my nuclear button is bigger and more powerful than yours” talk. Diplomacy works: due to these recent improved diplomatic relations, North Korea has suspended nuclear and missile tests. We must not allow the situation to return to the 2017 approach. Despite the Hanoi Summit ending with no agreement, diplomacy is continuing. All parties are ready to pursue a new relationship. Furthermore, we don’t have another option besides diplomacy; according to the Congressional Research Service, an estimation of hundreds of thousands of people would be killed in the first days of a conventional military conflict on the Korean peninsula. There is no military solution. The most realistic approach is to pursue a step-by-step approach that ultimately works toward the long-term goal of denuclearization. Eliminating nuclear weapons on the Korean peninsula will not take 1 or 2 grandiose steps. The international community needs to take steps to build trust — that begins with the U.S. declaring a formal end to the Korean War.